Travel and Accommodation information for North Cornwall. If you are coming to North Cornwall for a holiday at any time of the year, and you are unable to find suitable accommodation, then follow the relevant link to the right to access hundreds of North Cornwall's quality accommodation providers offering all types of holiday accommodation. So whether you require Bed and Breakfast accommodation or a self-catering cottage, from apartments to farmhouses, chalets, villas, campsites, holiday parks or hotels, we are sure you will be able to find what you are looking for. Secluded peaceful locations in hidden rural retreats or right by the beach. If you intend to stay in North Cornwall for a longer holiday then you will not be disappointed. With so much to see and do, you will hard pressed to cover all that north Cornwall has to offer in one visit. Cycling around north Cornwall has been made easier by the lengthening of the camel trail from Padstow on the North Cornwall coast to the wild moor land near St Breward. Abseiling - Boating - Cage Diving - Coarse Fishing - Cycling - Dancing - Flying - Horse Riding - Kayaking - Scuba Diving - Shooting - Swimming - Trekking - Walking - Water Skiing - Windsurfing and so much more. There are plenty of inns, restaurants and other eating establishments for those who do not wish to cater for themselves. Beach Holidays in North Cornwall. Accommodation available in North Cornwall. Short Breaks, Family Breaks, Hotels, Camping Holidays, Larger holiday homes, Camping and caravan parks that include mobile homes as well has holiday parks and sites that allow you to pitch tents or park caravans that may require electric hook ups. Camper vans and touring vans may also find useful information about where to stay in north Cornwall when looking for sites with good amenities. Self catering in Cornwall. The farmhouse and guesthouse accommodation that is available in North Cornwall caters for all tastes. From the luxury of 5 star surroundings to the more traditional guesthouses, farmhouses and B & B's. Beach holiday properties in Cornwall that afford the luxury of being right by the sea. North Cornwall hides a wealth of accommodation that is not so apparent and can be easily overlooked by the eager traveller. We can recommend the following farmhouse and guesthouse accommodation providers in north Cornwall. 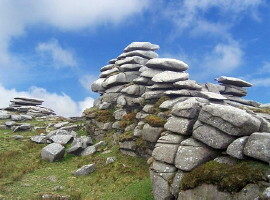 Travelling around north Cornwall by car is a very straight forward option. The roads are well sign posted and there are hundreds of miles of country and coastal highways and byways to explore. The coastline of north Cornwall stretches from Bedruthan Steps to Stanbury Mouth. throughout Cornwall at reasonable prices. 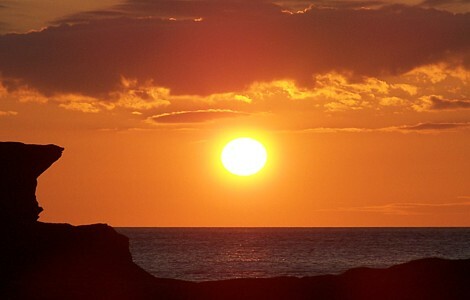 Bude and Widemouth Bay offer superb surfing and swimming beaches. Contact Newquay Airport for latest details. 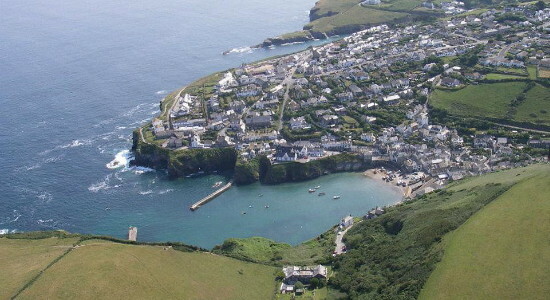 Port Isaac in north Cornwall. To keep up to date about what's on check out our North Cornwall Events Guide for details of local events in North Cornwall. Are you looking for affordable holiday homes set in some of the UK’s best locations? Then be sure to take a look at allenscaravans.co.uk/holiday-home-parks/static-caravans-for-sale/ today. Not only do Allens Caravans maintain their homes to the best standard, but guests can also benefit from the sites' handy locations, often nearby historic, culturally rich towns. Allen’s Caravans is known throughout the land for their luxurious, stunning and breathe taking holiday and residential parks. Set amongst stunning back drops, it is the place to relax. When looking for a caravan for hire You needn’t look any further. Based in various locations around the UK, their parks offer everything you need for a perfect getaway. From fishing holidays to historic country landscapes, they have it all! You can read customer service reviews of Expedia at Reviewplanet. If you are in Cornwall and in need of log cabins, sheds, gazebos or a summerhouse, West country sheds and cabins at Camelford Station in Cornwall have the solution.